Michelle Bos is a fourth-year guard with the WolfPack women’s basketball team from Surrey, B.C. Being a student-athlete can be a tough but positive experience. It presents challenges for students mentally and physically. Student-athletes must deal with the pressure of performing both in the classroom as well as in the sports arena. They must deal with the expectations of coaches, teachers and teammates. TRU has plenty of student-athletes, one of the biggest challenges they have is managing time. Recently the Omega caught up with Bos to discuss what life as a student-athlete is like. “Surprisingly I find being a student-athlete is actually good for my mental health. Basketball is a nice break from school and school is a nice break from basketball. So they even each other out really nicely,” Bos said. 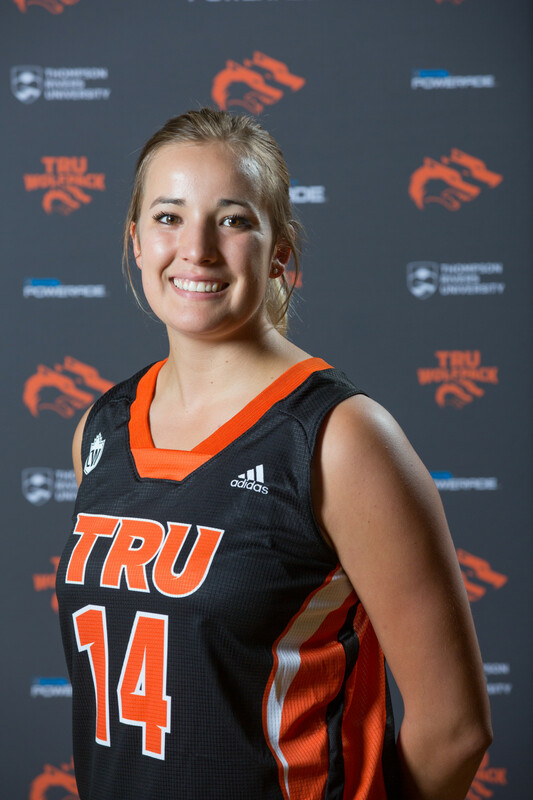 Bos has been a part of the women’s team for four years and is an integral part of the team, she was a CIS rookie all-star in her first year at TRU and has continued to be a big performer for the team. “As a nursing student I spend 12-16 hours a week in the hospital working at the ward plus at least 12 hours of classroom work,” said Bos in relation to her hectic schedule. As an athlete, Bos must eat smart and healthy. She told the Omega she eats a high protein diet, largely because high protein diets tend to keep her full for long periods of time. Her meals are well thought out. “Egg whites with veggies for breaky, chicken salad for lunch, greek yogurt as a snack, a protein shake after my workout/practice and homemade pizza for dinner is a pretty normal day for me,” Bos said. Bos also acknowledged the fact that as an athlete she has to eat a lot more than the average person due to the demands of her body. One of the biggest challenges she faces is fitting in time for group projects as they require multiple people’s schedules to line up. The life of a student-athlete is as difficult as one would expect, but it also allows students to escape from the stress of everyday life. As well it allows them to enjoy something different. The impression one gets from Bos is that being a student-athlete allows there to be a finely tuned balance, mentally and physically, for students.